Lawrence Joseph Whitty was born in Minot, North Dakota in 1937. He was one of five children growing up on the Whitty family farm. Joe was trained as a baker and worked in the baking industry for several years. Later he supervised and managed a popular pizza restaurant. Joe began to develop his own ideas about a new restaurant concept he wanted to create. He knew that with his baking experience he could create a better tasting pizza than was currently being offered. He also heard his patrons planning to go out for ice cream after their meal, so Joe then decided that his concept would combine his unique pizzas with Ice Cream. After several attempts to obtain financing and with the help of the SBA, Joe obtained a $30,000 loan and on November 16 1972 opened the doors to the first Happy Joe’s Pizza & Ice Cream Parlor in the Village of East Davenport, Iowa. The combination of innovative products, service and a fun atmosphere proved to be a huge success for Joe and our franchisees. Since then Happy Joe's continually researches and develops new and innovative concepts to ensure a competitive advantage. 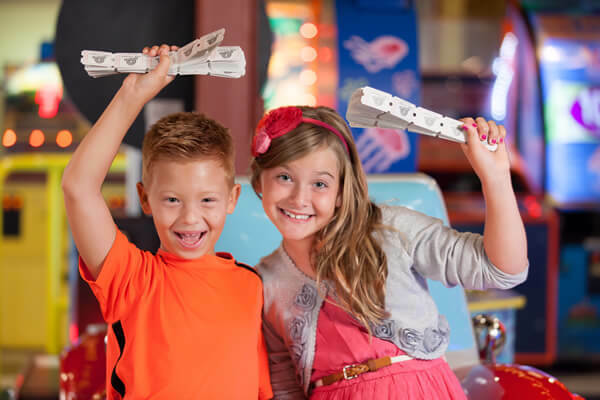 Full size Happy Joe’s locations are a prime destination for birthday parties and special events. There are also accessories that can be added to raise entertainment and fun to a whole new level. There is an increasing demand for delivery services, and a Happy Joe’s DELCO enables you to focus on this growing niche. Happy Joe Whitty has built success around a core menu of quality products and his specialty signature pizzas. New products are constantly being tested. 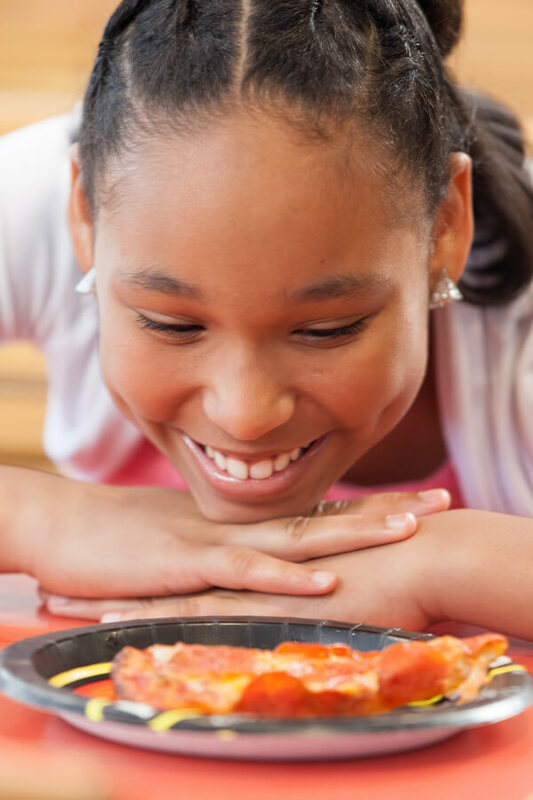 Based on our guests' preferences, trends and Joe's past experience in the baking industry, Happy Joe’s has perfected many types of pizza dough and other creative food items which of course includes our famous Taco Pizza! Our ideal candidate will have strong leadership skills, a fantastic work ethic, good understanding of financials, ability to manage through weekends and holidays, community involved with good networking skills. They should also be proficient at developing people, with high integrity; restaurant ownership or leadership experience preferred. 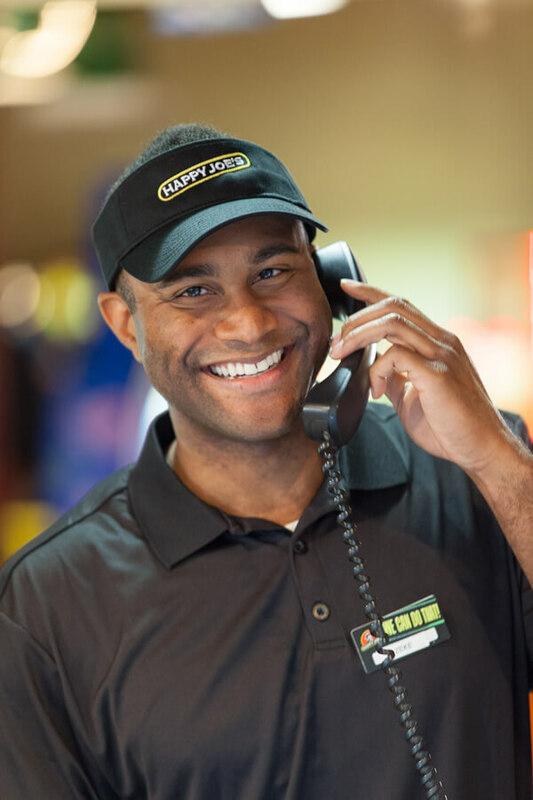 Now that you’ve had a chance to review some of the Happy Joe’s franchise information, we invite you to take the next steps in becoming our franchise partner. 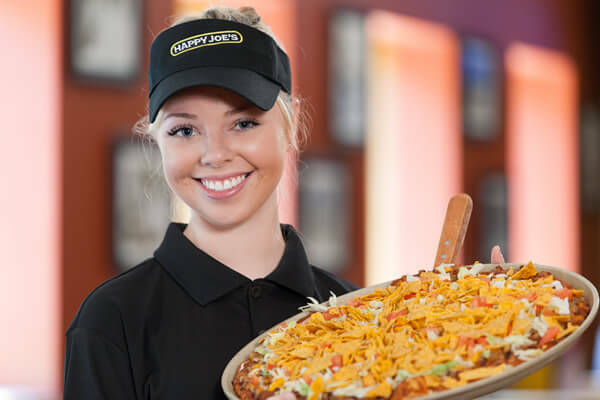 If you are seriously interested in exploring franchise ownership with Happy Joe’s Pizza and feel your qualifications meet our standards, now is the time to begin! Fill out the form today!